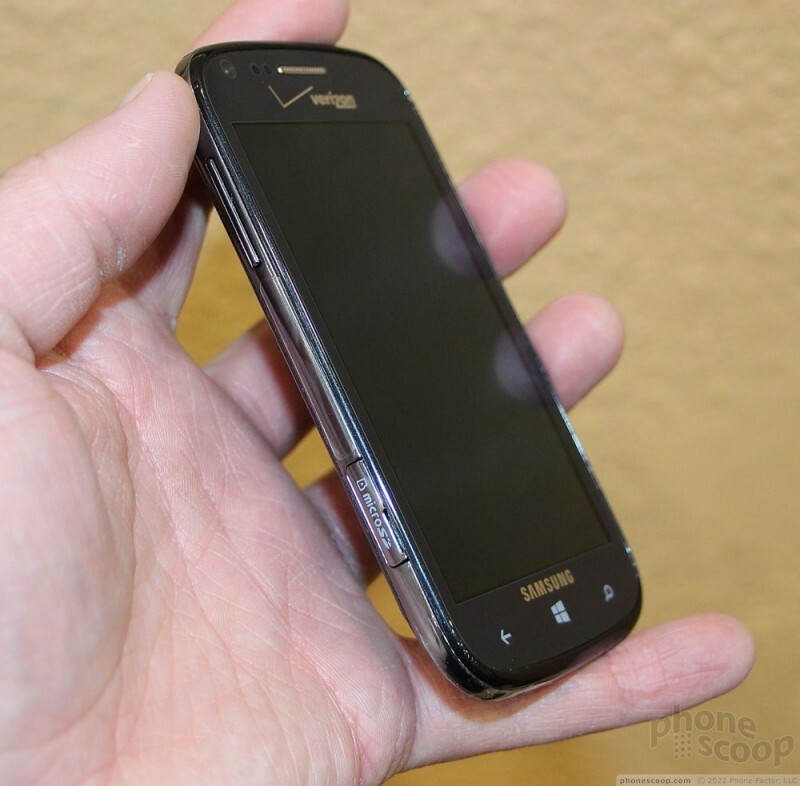 The ATIV Odyssey is a mid-sized smartphone. Think of it as a small Samsung Galaxy S III, and you'll have a good idea of what the Odyssey is like. It feels amazingly light. It's quite comfortable to grip and I really found the overall tactile experience to be good. The materials and manufacture are of solid, though not quite excellent, quality. The Odyssey is assembled from glossy plastics,. The one problem I have with the design is that the plastics are extremely slippery (like many, many Samsung smartphones before it). I dropped the phone twice while handling it. I can only imagine how it would pop out of your hands if you've just finished eating potato chips or popcorn and your fingers are all greasy. The volume toggle is on the left edge of the device. It's easy to find visually and by feel. I thought the action and feedback were excellent. Same goes for the power button and camera button, which are both on the right edge. The camera button is a dual-stage key, and both stages were well-defined. The screen is quite nice. It measures four inches, which complements the 480 x 800 pixel arrangement, giving it a nice, sharp look. 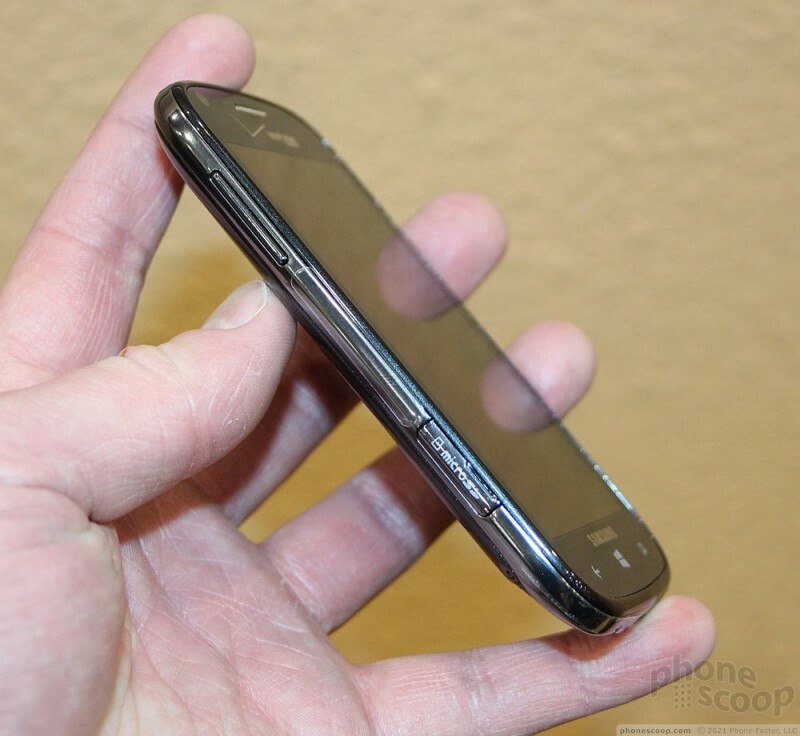 Samsung used Super AMOLED tech behind the screen, and it looks as good as the screen on any other Windows Phone device. There are three capacitive buttons below the screen for accessing the standard Windows Phone controls. They aren't all that easy to find by feel since they are flush with the surface. Thankfully the buttons are highly responsive and shine brightly once touched. 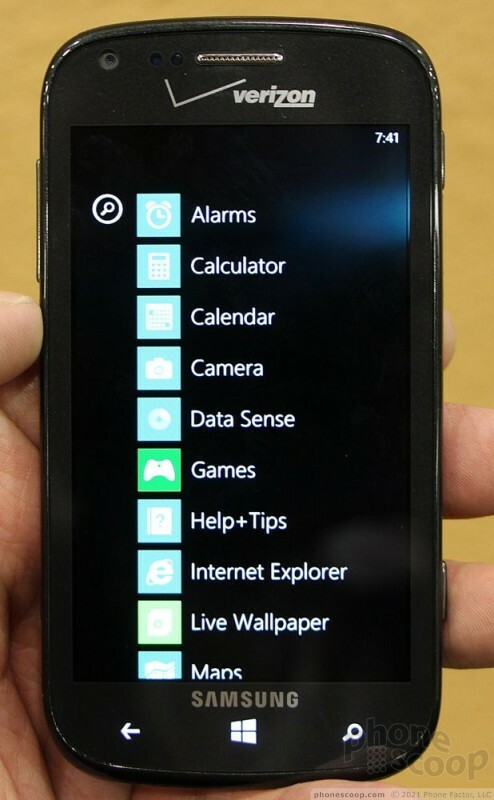 The user interface is Windows Phone 8. Since Windows Phone hardware makers can't mess with the user interface at all, it looks, behaves, and performs just as every other Windows Phone. The device has built-in storage, but you can access the miniSIM card if you remove the cover on the left edge. 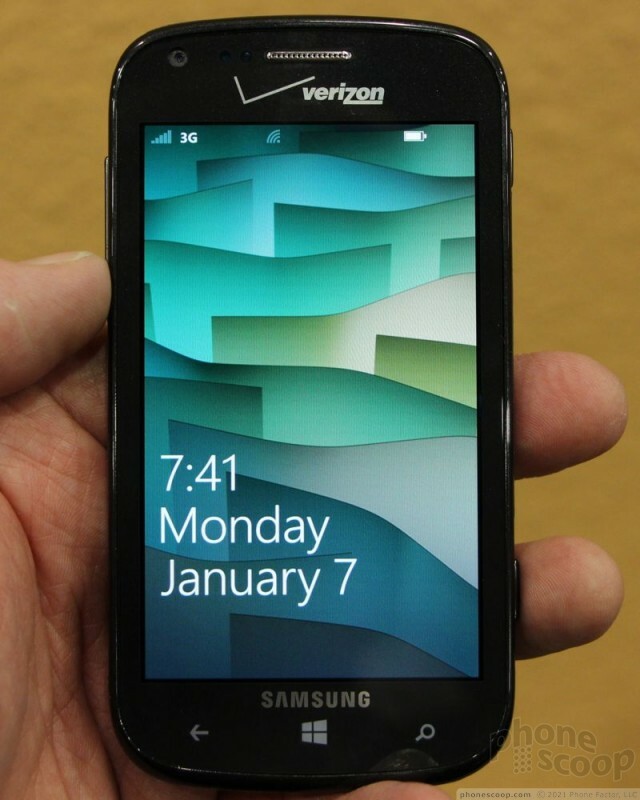 It's a nice little phone. Certainly not a flagship device, but for a few bucks it's definitely a good buy. 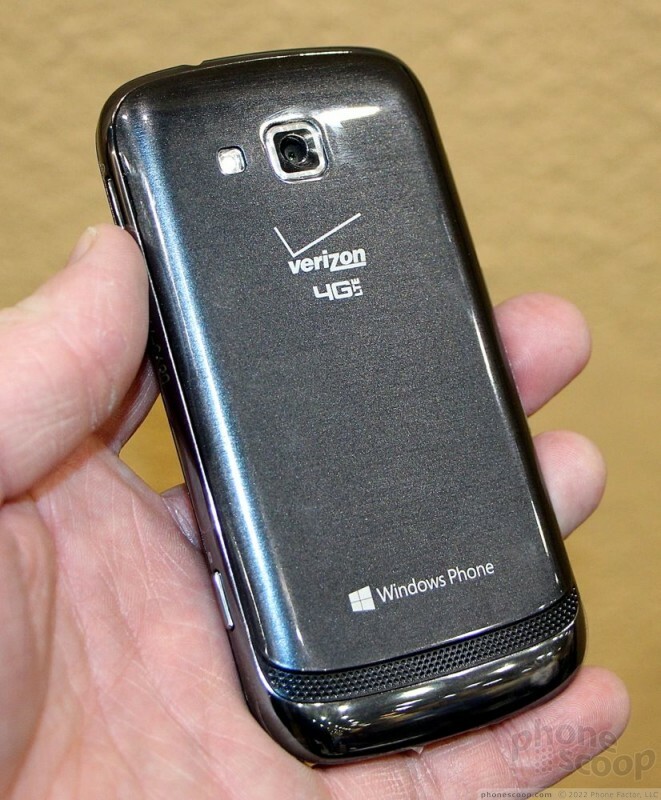 See no reason why anyone would want this over the better lumia 822 on Verizon. & price cant be a factor when the 822 can be had for free or 49.99.. And you get a better device with more features then the Samsung.